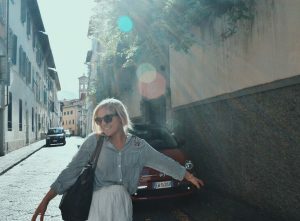 We recently caught up with SAI Ambassador Gwen, who shared with us her memories on her time in Florence. 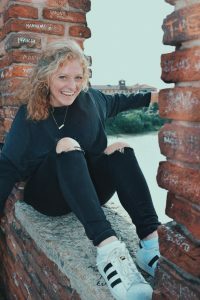 While studying abroad at Florence University of the Arts I had the opportunity to take Travel Writing; a weekly class that encouraged travel and diary style writing about my personal experiences abroad. As a creative writing minor, this course was an absolute dream for me. 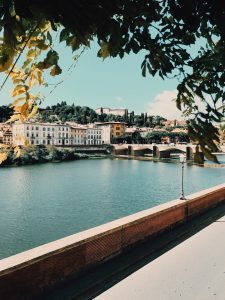 I was assigned, and encouraged to spend mornings walking through Boboli gardens, evenings people watching at Piazzale Michelangelo, and weekends hopping all over Europe. Each week brought a new writing prompt, often a phrase, section from a textbook or a piece of art, that took us off the generic tourism travel writing path. We were given a list of words to never use while writing (beautiful, cobblestone road, amazing, life changing etc…) This kept our writing crisp, unique and accurate to our personal experiences. To this day, I still grab my diary that we kept throughout the course and read it, as a way to revisit my time abroad. Favorite thing to do in your host city? 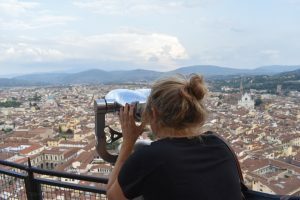 Although there are so many things I loved to do around Florence, my absolute favorite past time was people watching from my third floor apartment window. Some of my favorite memories come from my roomates and I gathering in the huge windows our apartment had, drinking glasses of wine and listening to the sounds of the city below. Our apartment also offered us a bonus of being across the street from a theater, so we often caught some of the orchestra music and intermission conversations between local Florentines. In those first few weeks when the city was hot and packed, our windows offered us a cool breeze at night and a place to admire our new home. Favorite memory from study abroad? My favorite memory from study abroad is hands down skiing in the Swiss Alps. I have never been so blown away by the beauty in the world as I was that day. Me and some of my friends went to Switzerland in November and caught the first weekend of skiing in the Jungfrau Region. It was a cold day with blue skies, that allowed us to take our time admiring the mountains as we skied all over. I have skied since I was little so this was a bucket list experience that did not disappoint. Gwen was an SAI Florence fall 2017 student from Saint Mary’s College of California.